Styling on MSI laptops is always cohesive and we can therefore once again enjoy the delights of a clean and elegant design which not only looks good but also feels good in the hand too. Tweaking a popular design is quite a wise and prudent approach – “if it ain’t broke, don’t fix it”. Working with a strong selection of features and hardware is the overall strategy with Raider and it doesn’t shy away from serving up a bag full of goodies. The well-established Kaby Lake 7700HQ takes centre stage offering solid quad-core performance while the 6GB NVIDIA GTX 1060 tackles 3D-based operations with ease. There is also a good blend of functionality including USB 3.0/3.1 and video-outs with HDMI 2.0. Our only criticism being that we wish MSI would have opted for a PCI-Express driven M.2 SSD rather than the slower SATA-based drive which Raider uses. Even on a mid-range laptop we expect faster primary storage, SATA doesn’t cut it. Using Raider in the latest triple-A gaming titles, we can enjoy frame rates upwards of 60 with the resolution set at 1080p and detail presets on maximum. The real joy with this new laptop is that we can take advantage of a 120Hz capable display. This makes a significant difference after moving from a standard 60Hz display – movement is substantially smooth, sleek and fluid. These types of features are the extras which contribute to completely changing the user experience and soon enough we’re likely to see more and more laptops utilising displays of this calibre. Having already reviewed the GE62VR Apache Pro (which also features the GTX 1060) we can see the thermal design inside our Raider offers a slight improvement, shaving off a good 2-3 degrees from the GPU. Working in such tight space constraints isn’t easy, so this is definitely an achievement given the 27.5mm thickness of this unit. At this moment in time, Raider is on preorder and has a price-tag of £1600 GBP in the UK and $1600 USD in the United States. The US version of this laptop has a number of different variants which differ from the UK version we’ve reviewed today, so please bear in mind the hardware specification is likely to be different. At this price we can certainly see great value and this is fortified by a satisfying 2 years of warranty. 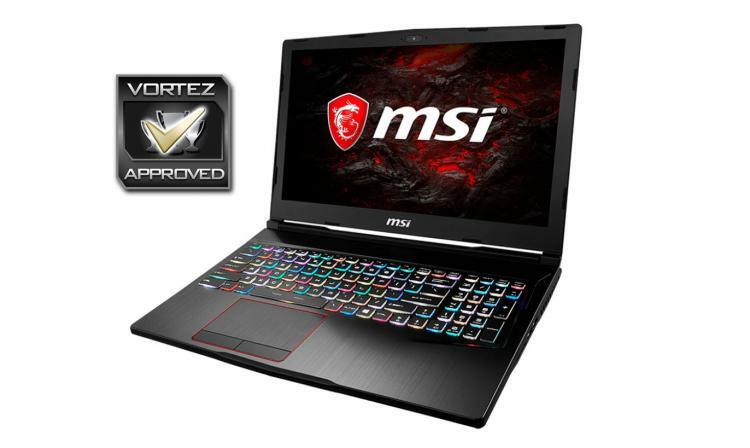 MSI has done a great job with Raider – this laptop is packed with great features and represents a definite improvement over the preceding GE62/3.